Don’t miss out on the biggest and best New Years Eve party in San Diego . 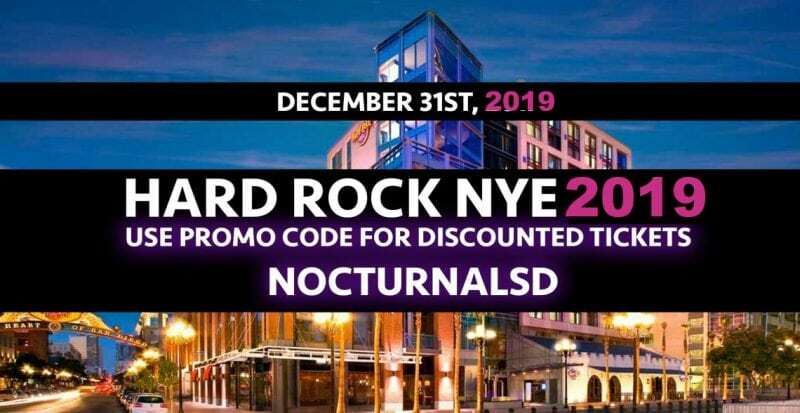 This year just like every year the Hard Rock Hotel Located in the downtown gaslamp quarter district of San Diego will be hosting it’s annual Hard Rock NYE 2019 Promo Code “NOCTURNALSD” San Diego Gaslamp New Years Party. This Ball is classy and refined. You will find the best and biggest artists in all of San Diego working for you with live performances and live music. Don’t forget to put on your dancing shoes for this years San Diego NYE dance . General Admission buy your general admission tickets now while prices are still cheap and low . Group Tickets are on sale now get them while you can ! VIP tickets are a must if you want to enjoy this party without any hassle. Fast Pass are a perk skip the line ! 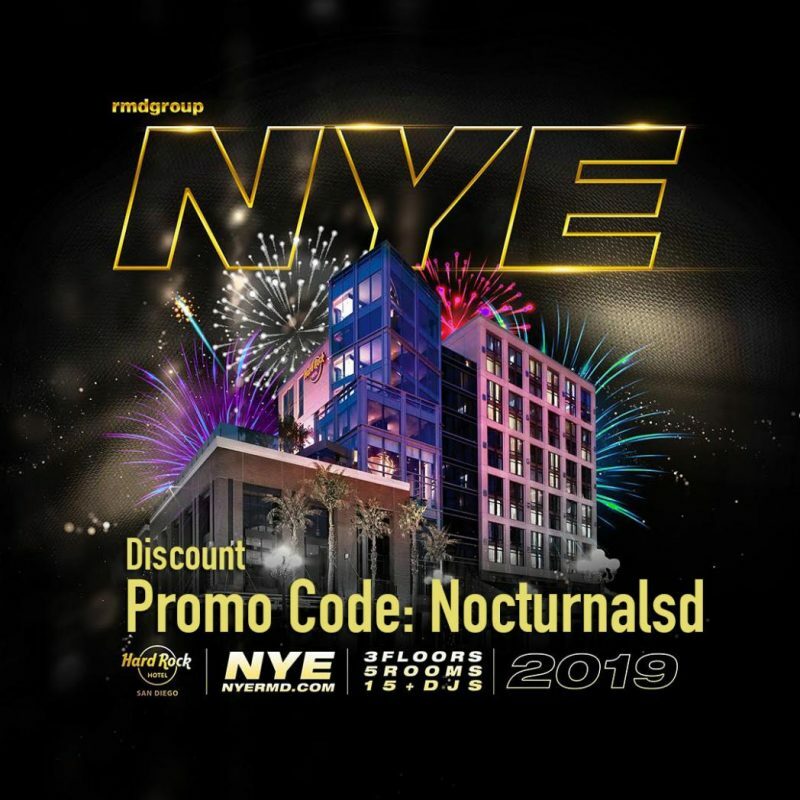 Check in to club 207 this san diego nye 2019 . Located in the downstair lobby of the legendary hard rock hotel san diego. Looking for a new years eve themed party for san diego this year 2019 ? come to hard rock every year has a major theme stay tuned. Get your vip bottle service tables arranged early simply ask us in the chat about pricing !